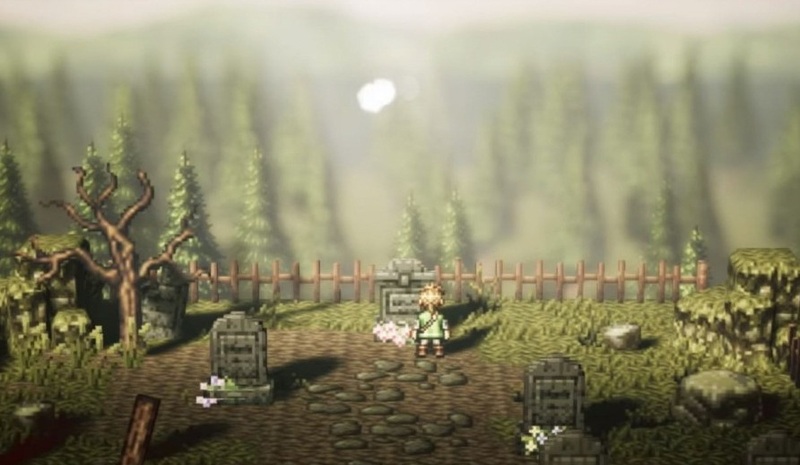 In Octopath Traveler, you have the choice to pick one of the eight characters: Alfyn, Cyrus, H'aanit, Olberic, Ophilia, Primrose, Therion and Tressa. The game allows you to experience and play all their introductions at the begining. So you don’t have to start the game eight times until you find your favorite character. Which Character Should You Pick? Well, there’s no direct answer to this question. It all depends on which background story you like and especially what style of fighting you like best. Since you can try and watch all the other characters as well. Nevertheless, your choice always remains the main character of your story, the others can always be exchanged. Therefore, you should pick a class that you can handle well or quickly find a shrine where you can take on a second job and learn. You also don’t have to worry about picking weak character: the opponents in the beginning are always vulnerable to the strengths of your choice, so you will never be disadvantaged. - Special feature : Research - With Alfyn you can receive helpful information from others in conversations. - Talent : Preparation - From different ingredients you can brew potions and substances that can support team members and weaken opponents. - Special feature : Questioning - In surveys Cyrus is far ahead. He is usually betraying more than other characters. - Talent : Opponent Study - With Cyrus you can study any weaknesses of enemies and gain a clear advantage. - Special feature : Provoke - The Huntress can provoke residents and thus call for a fight. - Talent : Catch - These monsters can also capture them in battle, docile and train them to fight at their side. - Special feature : Challenging - Olberic can challenge different residents to duels. - Talent : Supporting Defense - In attacks of strong opponents Olberic can distribute at the same time in defense Boosts. - Feature : Seduction - Primrose can also persuade citizens to follow her. - Talent : Summon - And just like Ophilia, she can also summon this retinue in combat to aid them. - Special feature : stealing - worthy of a thief, Therion can steal from villagers and get so useful items. - Talent : Lock Cracking - If you stumble upon traveling over chests, the thief can simply crack them. The special talents of the eight characters have the same effect on each two characters, except that they are classy in one character and roguish in the other. 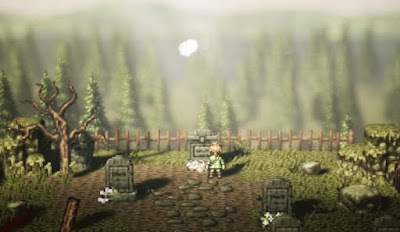 Although the rogue actions of Cyrus, H'aanit, Primrose and Therion can be used at any time, but you run the risk that they fail and thus your reputation in the area drops. You always have to keep that in mind if you don’t choose a noble character. In a party you can always take four characters. If you already know which enemies and challenges await you, then you should select your characters accordingly. Also, the choice of your main player should be well thought out. So if you're new to the JRPG genre, it's best to start with Olberic, Ophilia or Therion. All three have abilities that make starting easier, and even if a healer like Ophilia is not usually a simple starter, you'll have the benefit of boosting the initially weaker party through their skills. Primrose and H'aanit are two excellent starters if you already have some experience in JRPGs. The Huntress offers a wide range of skills as well as her snow leopard companion Linde. With Primrose one likes to run the risk of losing prestige, which is a risk and not the perfect beginning for everyone. If you are looking for the challenge, you should choose Alfyn or Cyrus as protagonists, because although their classes offer many possibilities, they are still a challenge, since they don’t have the best attack values, especially in battles. Their skills unfold especially in later hours of play.